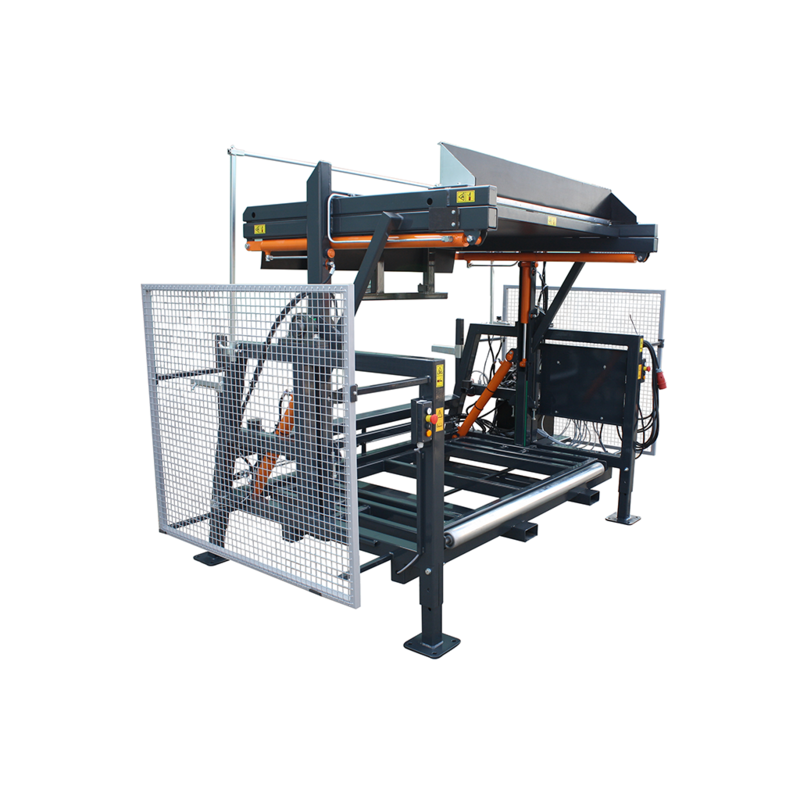 The cubic box is put into the machine, after which the crate is clamped against a cover plate. The crate is rotated 135⁰ degrees, so that the agricultural product against the cover comes to lie. After the box has been rotated, the coffin is pushed off of the cover plate. 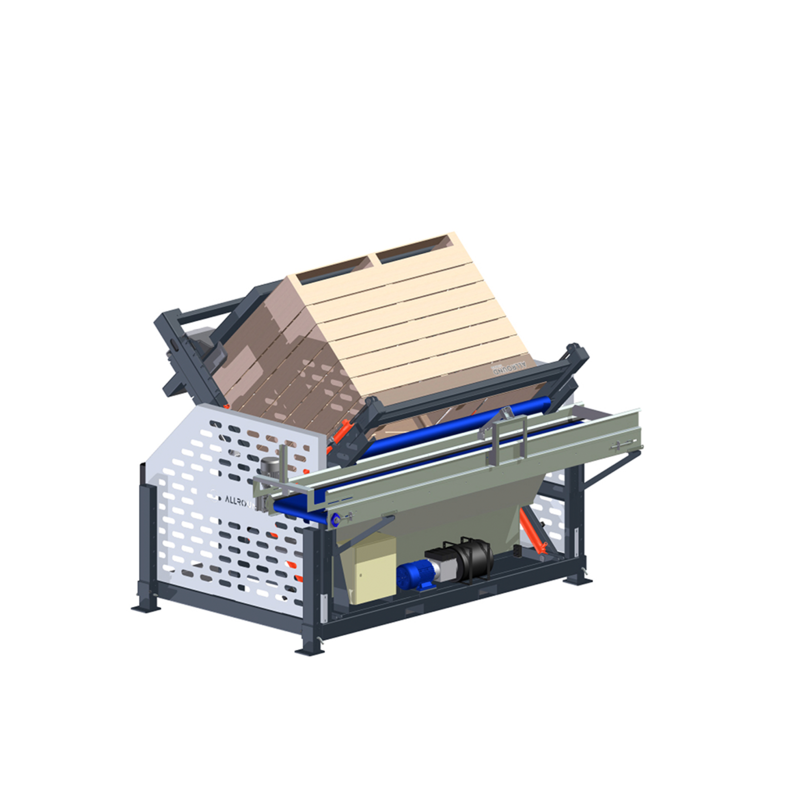 This creates a gap at the top of the crate, which makes the product rolls on the conveyor belt. The advantage of this way of tilting is that the bruising be limited and that the outflow is metered to the product. 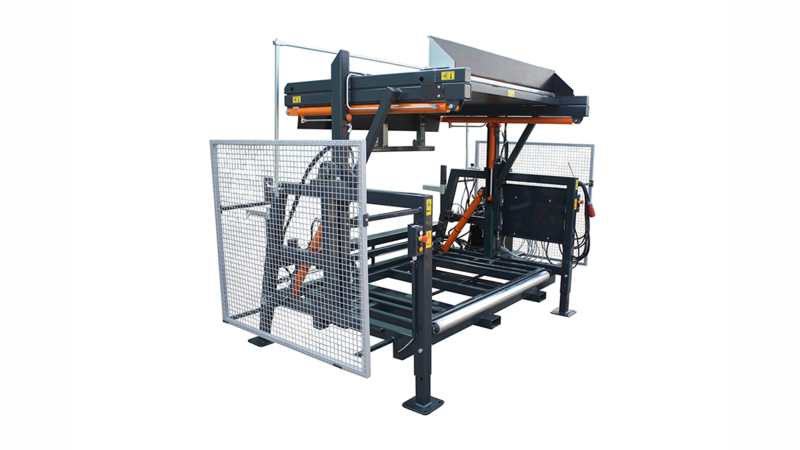 Optionally it is possible to opt for a cage around the machine, to ensure safety for the staff. The cage is a very effective safety measure. In some cases, it is not possible for the box tipper to empty a box at once. For these situations, Allround VP offers the dosing sensor. 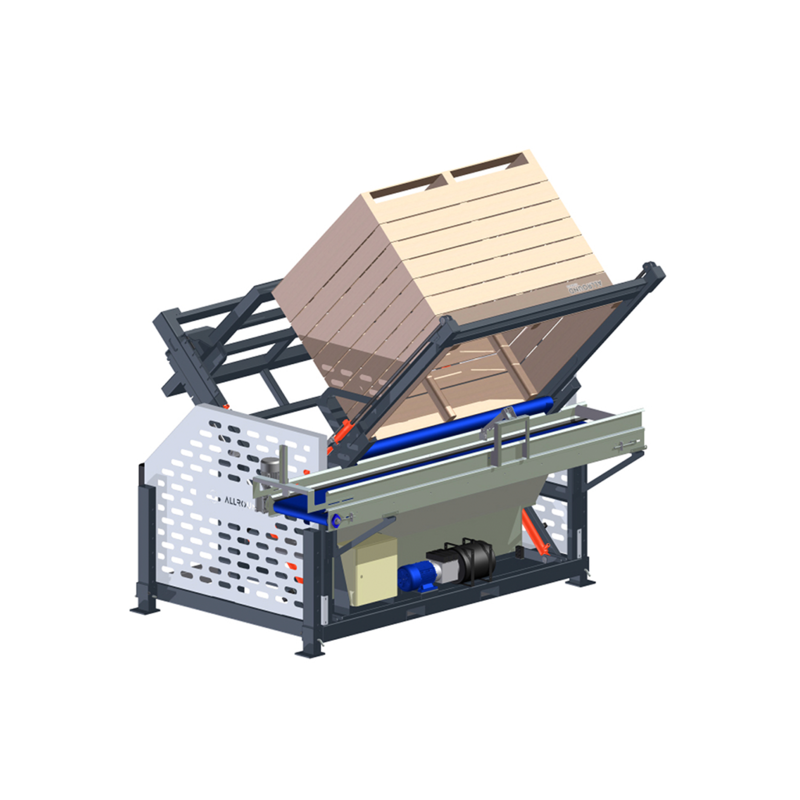 This dosing sensor detects when the produce piles up, and when the machine will be able to empty the bunker again. 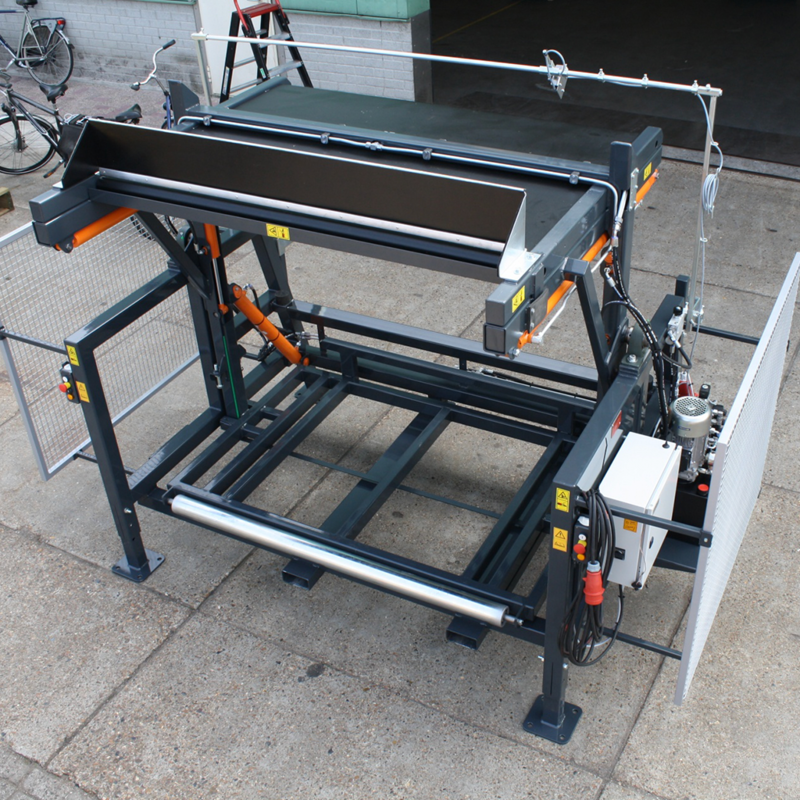 Allround VP is able to make machines from Stainless Steel on demand.